Numbers Don't Lie...Or Do They? You are here: Home / Health / Numbers Don’t Lie…Or Do They? When I was a strength and conditioning coach for a girls hockey team one of the girls called me very concerned because her blood work came back saying she had high cholesterol. This didn’t make any sense to me as she was a fit 21 year old athletic girl. Her first questions for me were about diet and exercise and what she needed to do to get her cholesterol back into a healthy range. My first question back to her was to ask how long she had fasted before she went for her blood test. 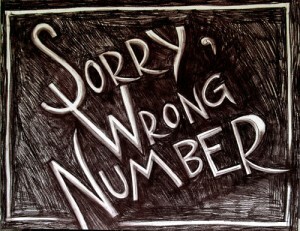 How do you know if your 'numbers' are right or wrong? As it turned out she simply had her blood taken too soon after eating and as a result her cholesterol seemed high. She went back for another test after the proper fasting length (minimum of 12 hours) and her cholesterol was fine…problem solved. The moral of the story is that a number or a measurement is only as useful as the accuracy and precision of the device or method of measurement. In other words a crappy scale isn’t going to give you an accurate bodyweight. Getting blood work done without fasting beforehand is going to give you all kinds of wonky numbers and make fit young athletes think they have high cholesterol. Metabolic rate estimators will make you think you can eat more food than you really can, and cardio machine calorie counters will make you think you’ve burned more calories than you really did. When your reality doesn’t add up to what these numbers are saying most people will assume they’ve done something wrong, instead of assuming the machine or measurement is wrong (just like our athlete in the above example). If you want accurate information about your body then you have to use the best and most accurate measurement tools, and use them correctly. Anything less will likely give you the wrong numbers and start you down a path of anxiety and worry over nothing.